Because recycling is a cycle, it’s hard to say where it starts or ends. For consumers, the cycle now begins in the grocery store. It is here where they acquire the packaging that they ultimately recycle. And while a person may shop with an idea of what type of product to buy, sometimes the purchase depends on availability, price, or quantity. Today, a new factor affects consumer decision-making: Is this package recyclable? When a community has a recycling program, we assume that residents know what packages to recycle - and consumer surveys indicate that many selectively shop for these packages. But purchases may be more environmentally responsive if shoppers’ habits are reinforced through recycling messages on packaging. business sense. Retail locations are the first point of contact between the consumer and the package - retailers can make this contact an environmental opportunity. Recycling messages also help when the products go home with the shopper. After a package is used, should there be any temptation to toss it away, a recycling message may redirect the package to the recycling bin. For those areas without recycling programs, the message serves another purpose. It can motivate residents to action. With the publicity that solid waste and recycling issues receive, citizens know they are responsible for the waste they create. And they know that they need community cooperation to initiate recycling programs. 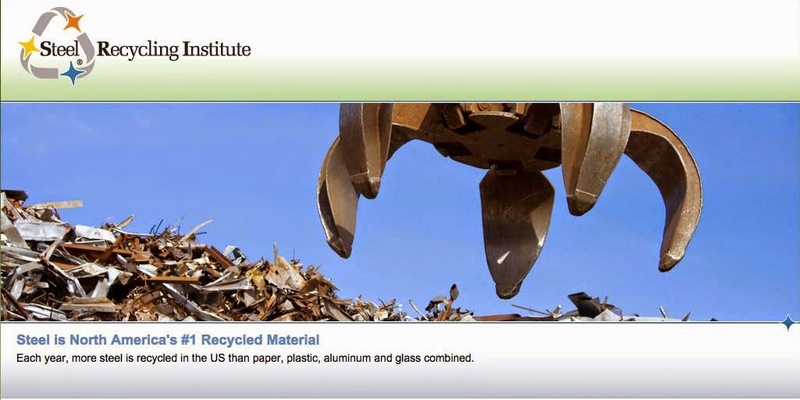 This section of The Recycling Magnet describes the efforts of environmentally conscious companies toward spreading the word about the 100% recyclable steel can, as well as other recyclable packaging. These companies, and others like them, should be encouraged to continue their efforts. Their role in recycling promotion helps build the cooperative efforts necessary to ensure the growth of recycling programs across the country.